Often the target of criticism and rarely that of praise, the life of a goalkeeper is far from easy. 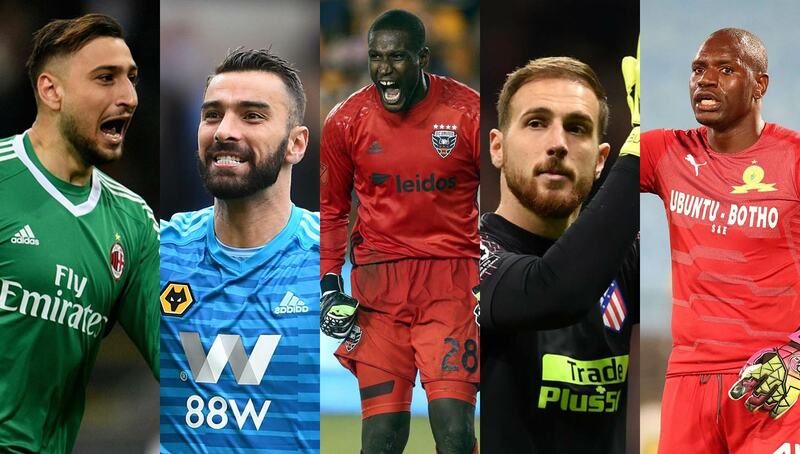 While a select few stars have deservedly earned recognition (and hefty contracts) for their stellar play, we delve into some of the lesser known yet equally capable keepers from around the world. In today’s modern soccer landscape, goalkeepers are expected to be much more than shot blockers. With managers such as Pep Guardiola demanding that their keepers be a part of possession play, a new era of the No. 1 has begun. Everyone knows the names of star goalkeepers like Manuel Neuer, David de Gea, and Ederson Moraes. But there are a number of incredible goalkeepers around the world that don’t receive the notoriety they deserve. These are some of the exceptional keepers every soccer fan should be keeping their eyes on. Jan Oblak Playing for the Slovenian National Team (Credit: AS English). While the vast majority of knowledgeable soccer pundits recognize Oblak as a top flight goalkeeper, the casual fan still doesn’t know his name. Born in Škofja Loka, Slovenia, Oblak has been absolutely sensational for both club and country for the last half decade. Signing his first major professional contract with Benefica in 2010, Oblak at first struggled to gain traction with the Portuguese club. After being loaned out during his first three seasons, he finally got his chance to start in 2013. 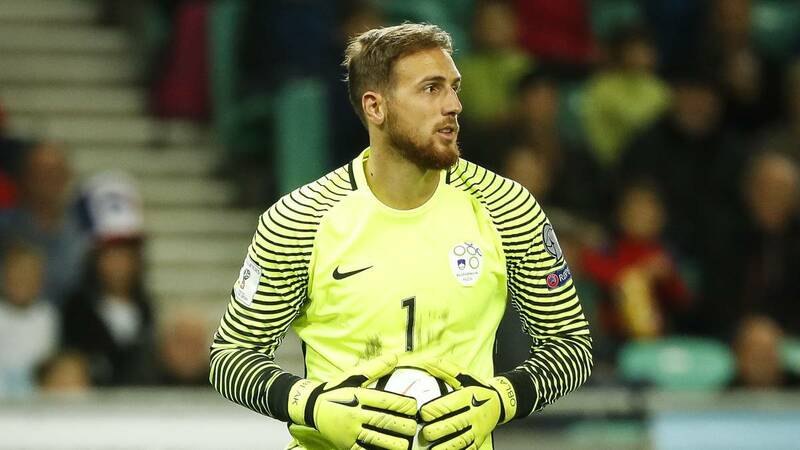 In just his first few games as a starter, Oblak garnered a number of impressive clean sheets, including a high profile 0-0 draw with Juventus in the Europa League semifinals. At season’s end, Oblak was named the top goalkeeper in the Primeira Liga. After just one full season of starting experience with Benefica, Oblak was drawing transfer interest from some of the largest clubs in the world. In July of 2014, Atletico Madrid made Oblak the most expensive goalkeeper in La Liga history, and the 26-year-old has certainly lived up to his billing. In his second season with Atletico, Oblak officially looked the part of a top tier goalkeeper for the Spanish giant. After conceding a remarkable 18 goals in 38 games — tying the La Liga record for least goals allowed in a single season — Oblak earned the Ricardo Zamora Trophy, given to La Liga’s top goalkeeper. Perhaps Oblak doesn’t possess the freak athleticism of David de Gea or the frame of Thibaut Courtois, but the Slovenian stalwart is one of the world’s brightest young goalkeepers. Next time you turn on an Atleti game, pay some attention to the man between the pipes. Donnarumma Continues to Impress for AC Milan (Credit: Gianluca Dimarzio). Unlike Oblak, Gianluigi Donnarumma never had a chance to enter the professional arena quietly. 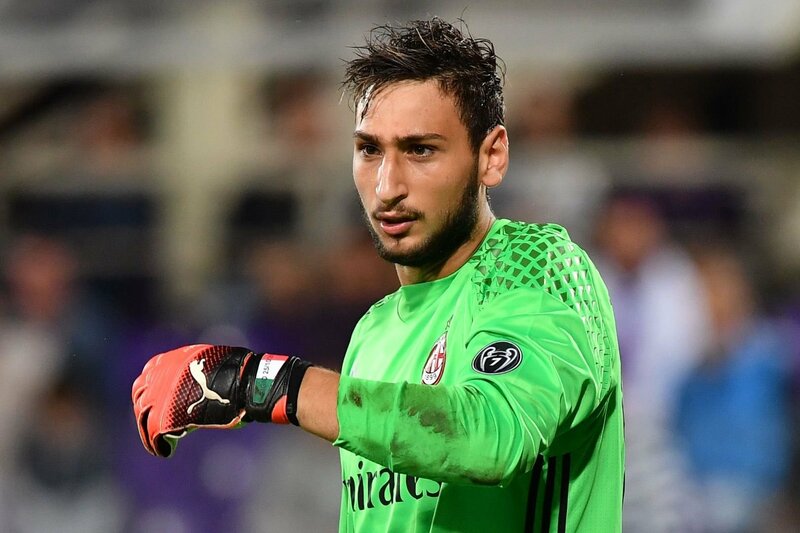 When Donnarumma became the second-youngest goalkeeper to make a start in Serie A at the absolutely ridiculous age of 16, he instantly became a worldwide sensation. Despite the lofty expectations, Donnarumma did not disappoint. In his second start for AC Milan, he earned a clean sheet against Chievo, and after a string of solid performances he officially cemented himself as Milan’s permanent starter. Now at the ripe age of 20, Donnarumma is in the midst of his third full season as a starting goalkeeper. The experience has certainly made a difference, as Donnarumma has positioned himself as the heir apparent to Gianluigi Buffon within the Italian national team. Donnarumma continues to improve in aspects of the game that many initially considered as weaknesses of his. Viewed as more of an old school shot-blocking goalkeeper, Donnarumma came into the league with less-than-ideal footwork and some apprehension in the air. Today, Donnarumma has become a more dependable piece of Milan’s possession play, and has finally started to dominate the box in the manner that his 6-foot-5 frame would suggest. Donnarumma is known around the world as a young prodigy, but I believe he is underrated in his overall goalkeeping ability. He consistently displays quickness to the ground on collapse dives that can be especially difficult for a keeper of his stature, and he rarely spills dangerous rebounds. We should no longer label Donnarumma as a goalkeeping wunderkind, but as one of the most exciting keepers in the world. 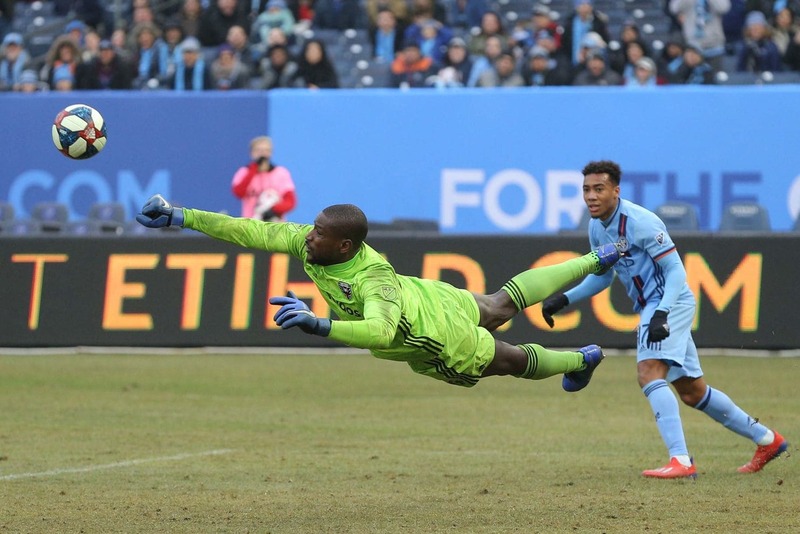 Bill Hamid Makes a Diving Save against NYCFC (Credit: Washington Post). Bill Hamid is a true American success story. After enjoying a solid youth career in his home state of Virginia, Hamid joined the DC United Academy program. On May 5, 2010, Hamid became the youngest MLS goalkeeper to win a regular season game, and the rest was history. From that point on, the 19-year-old goalie had secured the starting job with his hometown team. Hamid, known for his agile movements and quick reaction time, spent nine straight seasons with DC United and was undoubtedly one of the best goalkeepers in MLS. 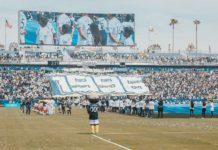 As supporters watched him grow within the club, he had become a fan favorite. After signing a contract with Danish Superliga club FC Midtjylland in 2017, Hamid recently rejoined DC United on loan for 2019. In just the early parts of the campaign, Hamid is already re-establishing himself as a top goalkeeper in the league. Even legendary English footballer Wayne Rooney praised Hamid for his performance. Still, Hamid has been unable to receive the recognition he deserves on the national level. While Hamid is not in the same class as Oblak or Donnarumma, he is certainly undervalued within the realm of American goalkeepers. 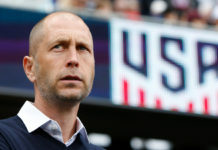 United States head coach Gregg Berhalter seems to be leaning towards appointing his former Columbus Crew player Zack Steffen as the goalkeeper of the future for the U.S. national team. While Steffen is a younger player, Hamid has years of starting experience and certainly deserves a look as the next great American keeper. 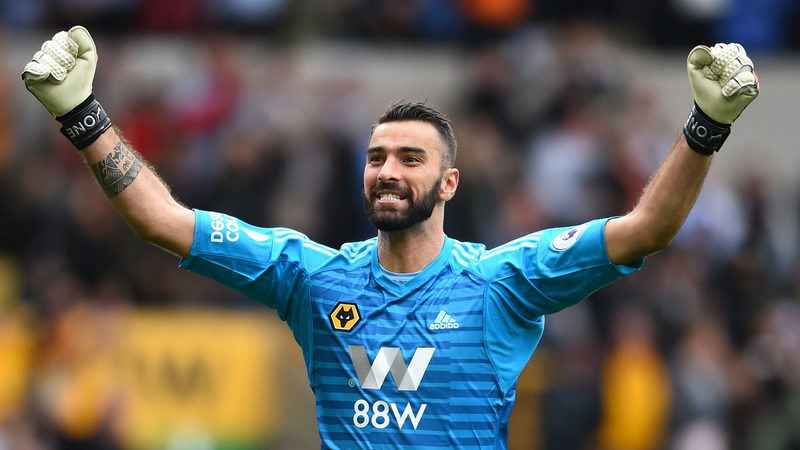 Rui Patricio Celebrates for Wolverhampton (Credit: Press From). One of the best keepers in the Premier League, Rui Patricio took a lengthy path to becoming a member of England’s goalkeeping elite. The 31-year-old Portuguese star spent 18 years in the Sporting CP system after signing with the academy in 2000. After six years with Sporting’s youth academy, he got called up to the first team, where he spent 12 years as the best keeper in Portugal. Patricio twice won the LPFP Primeira Liga Goalkeeper of the year award for his impressive campaigns in 2012 and 2015, and his stellar club performances led him to becoming a fixture on the Portuguese national team. 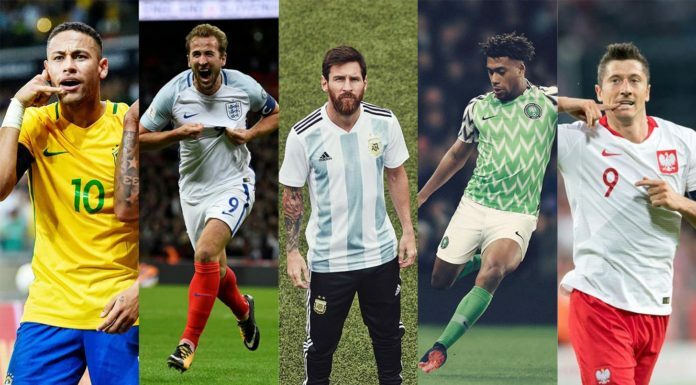 He made his international debut in a 4-0 win over Spain in a 2010 friendly match, and since then he’s been a mainstay in the starting lineup. Patricio played in both the 2014 and 2018 World Cups for Portugal, and served as a strong leader for the squads. In June of 2018, Patricio left Sporting CP for English side Wolverhampton Wanderers, where he’s been a revelation for the club since making his debut in August. Facing top level English squads, Patricio has been an outstanding shot blocker and veteran presence. While Patricio may not be known for athletic prowess, he is a consistent player that rarely makes costly mistakes. In his lone season in the EPL, Patricio has been invaluable to Wolverhampton, playing a big role in their impressive seventh-place position in the table. Due to his age and lack of flash, Rui Patricio may never get the respect he deserves, but the Portuguese keeper is certainly one of the best in the world. This last goalkeeper on this list is one of my personal favorites. Denis Onyango was born in Kampala, Uganda, and began playing goalkeeper at a very young age. He signed his first professional contract in 2004 with Ugandan club SC Villa, before heading to South Africa’s Premier Soccer League, where he has played with SuperSport United and Mamelodi Sundowns FC. Since 2006, he has won five Premier Soccer League titles, cementing his legacy as a consummate winner. After an outstanding 2016 campaign, Onyango won African Player of the Year (for players based in Africa). That same season, the International Federation of Football History and Statistics ranked Onyango as the 10th-best goalkeeper in the world. Despite the accolades, few fans outside of Africa have heard of Onyango. The 33-year-old stands at a mere 6-foot-2, but you wouldn’t know it from looking at him. Onyango has a vastly imposing presence in the goal, and is exceptional as a shot stopper and in breakaway situations. 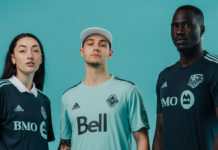 After a fantastic 2018 season, Onyango was named in Africa’s Best Eleven, joined on the list by high profile stars such as Mohamed Salah and Pierre-Emerick Aubameyang. Onyango was the only player on the list who plays with an African club. As you’d expect, Onyango has been consistently starting for the Ugandan national team since 2005. He helped guide Uganda to a 2017 African Cup of Nations berth, after a dominant string of qualifying match performances in which he conceded two goals in six games. 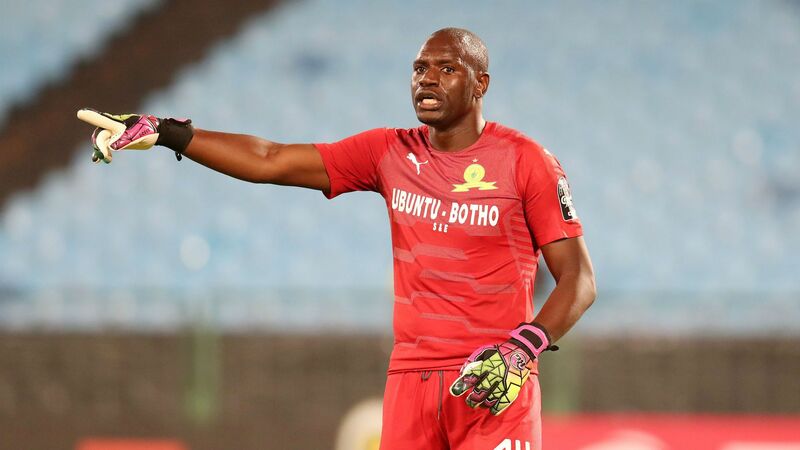 While you may not be watching a ton of South African football anytime soon, Onyango is a model citizen and a truly fantastic goalkeeper. If you ever get a chance to watch the Ugandan play, you will not be disappointed.